Warehouse Lighting Update Week 2 and Week 3. Week 2 – Reinstalling lighting bus bar at high level. More racking completed. 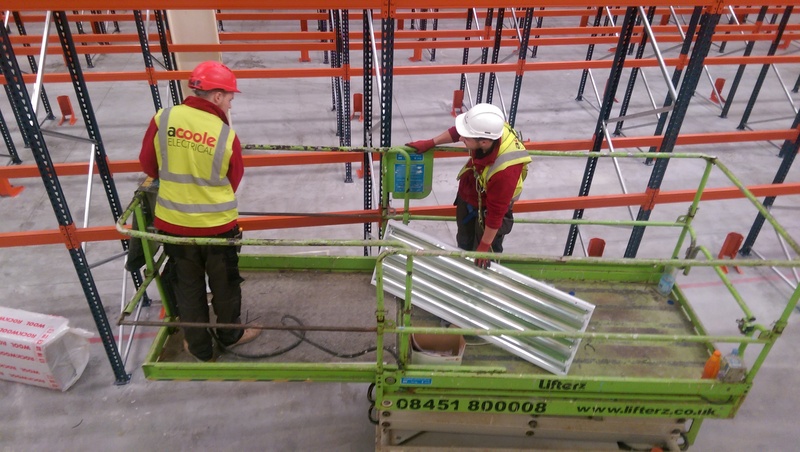 Week 3 – The first light being prepared to be installed by A Coole Electrical Team. Works still continuing in this warehouse for another 4 weeks, A Coole Electricians will be fitting over 150 Lights in total. This is a 7 week project – Upgrading a warehouse lighting system for one of our clients, working closely with the racking company to coordinate the new light/ bus bar to suit their new racking layout and work around other services. Supply and fit Lighting to the main racking area utilizing bus bar trunking at high level, re-positioning the trunking to prevent damage from pallets,hanging new lighting from newly installed gripple catenary system. Supply and fit Lighting to caged racking area utilizing bus bar trunking at high level and installing 2 more runs, re-positioning the trunking above the cage to prevent damage from pallets , hanging new lighting from newly installed gripple catenary system. Supply and fit running man exit signage to the main building exit doors to direct staff to fire escapes internal and external and also emergency lighting to internal doors within the main racking area. Supply and install power supplies to warehouse machinery. In total ACoole will be supplying and fitting a total of 152 lights!.. 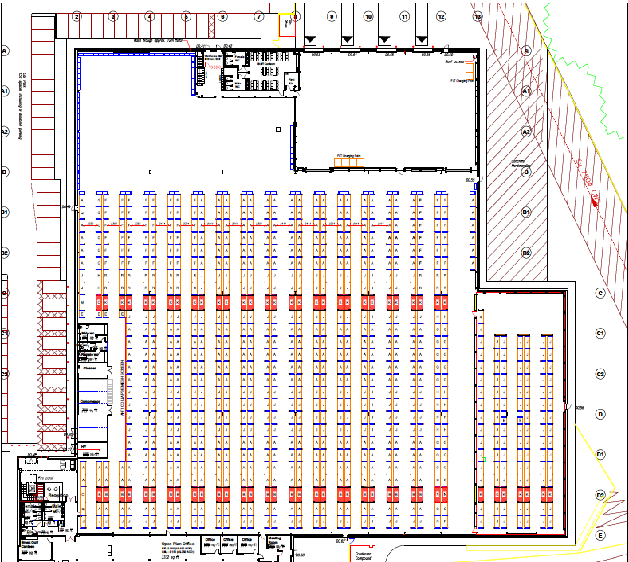 Overview of the Warehouse – An empty space to work with, first steps to be completed – Removed all old high bay lighting, altered existing lighting bus bar. We have had some amazing feedback from one of our customer. 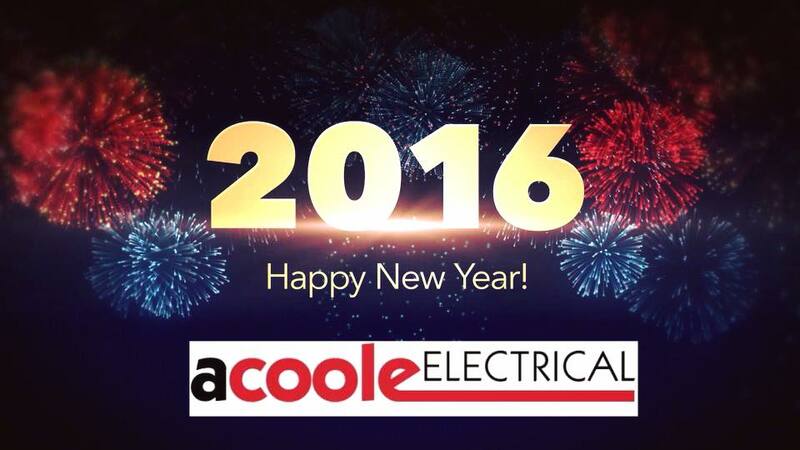 Acoole Electrical completed a full rewire on a occupied house, in the local area for Jon and Annie. They have emailed our Director Andy Coole directly to thank him and the team. Well done Lads – And Thank You. 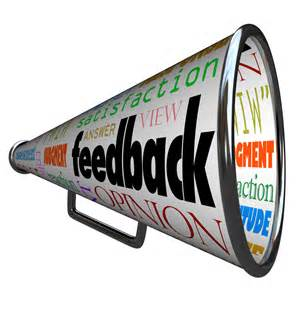 Do you have any feedback for A Coole?. 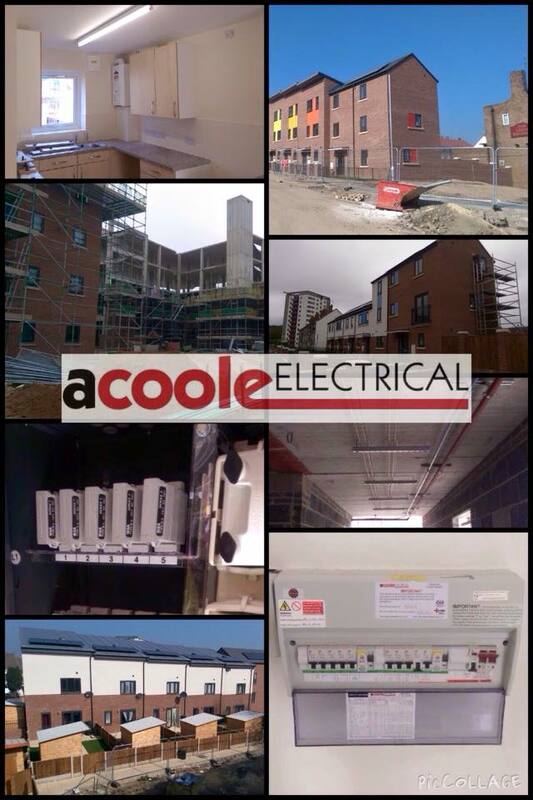 if so please do not hesitate to contact us admin@acooleelectrical.co.uk or visit our facebook page www.facebook.com/ACooleElectrical and leave us a review. Are you looking to join a great team? ACoole have a fantastic opportunity to offer. Please call Gemma on – 07979961400 or call the office on 01226 296425 for more information. 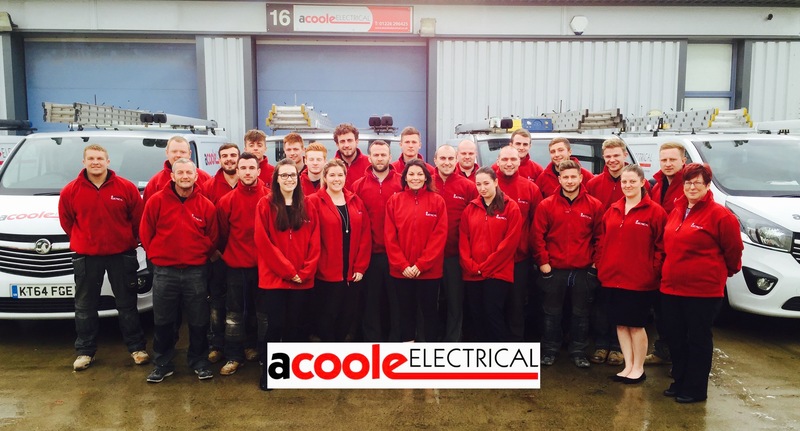 It’s time to meet the ACoole Team!…. Introducing our amazing electricians and office staff and the brains behind it all! Andy Coole and Gemma Coole!.. 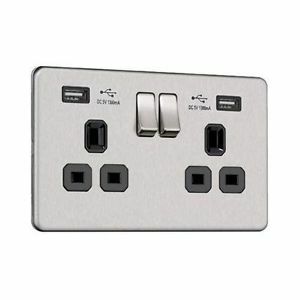 Did you know that you can now have a new type of socket installed in your home or office? A Coole Electrical now install USB plug sockets! Now you can charge other appliances and plug your phone in at the same time without the need for an adaptor. Would this benefit you or your company? If so contact us today for a quotation. To contact us- visit our contact page or alternatively call us on 01226 296425 and one of our dedicated staff will assist you.